"Highly recommend Dr. Ghobrial very professional." "I would highly recommend him and will be back." "Fast appointment and thorough exam." 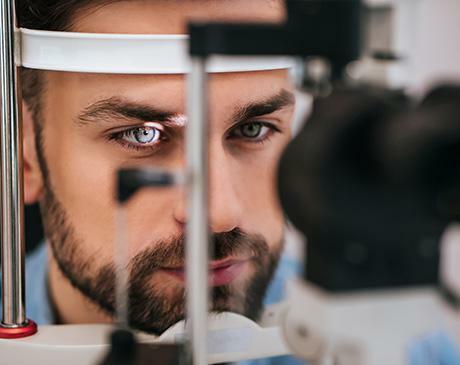 As the founder of Eye Associates of Monmouth, John Ghobrial, MD, is an exceptionally trained ophthalmologist who specializes in providing comprehensive eye care with a personal touch. Patients of all ages in Colts Neck, New Jersey, and the surrounding area rely on Dr. Ghobrial’s expertise and compassionate manner to treat a variety of eye conditions and for the best vision care in the community. Dr. Ghobrial was born in Queens, New York, and grew up in northern New Jersey. He completed his ophthalmology residency at The State University of New York, Stony Brook, and Nassau University Medical Center, both on Long Island. Dr. Ghobrial is also a graduate of the prestigious Tulane University, School of Medicine in New Orleans, in cornea and laser vision surgery. He earned his board certification from the American Board of Ophthalmology in 2002. Dr. Ghobrial enjoys caring for patients of all ages at his welcoming office. He and his team stay up-to-date with the latest advances in vision care, treatments, and technology so he can best serve his patients in all their eye care needs, including laser surgery, managing diabetic eye diseases, and preventing and treating numerous age-related eye conditions. In addition to offering complete eye care to patients at his office, Dr. Ghobrial is also on staff at several area hospitals and two surgery centers in Monmouth and Middlesex counties. He lives with his wife and three children in Marlboro, New Jersey, and when he’s not caring for patients, Dr. Ghobrial enjoys golf, tennis, coaching soccer, and teaching Sunday school at his local church. We accept most major companies' insurance. Call us today to learn more! "I am extremely satisfied with his care. He always takes the time to perform a full exam and I never feel a rush as I do in some other offices." "I am a new patient of Doctor Ghobrial's and was extremely satisfied with his work. His office was well managed and he was very thorough on his examination. " " have been going to Dr. Ghobrial almost since the start of his practice in Colts Neck. He has performed one surgery on me and I imagine there may be more. "